BTN and Riot Games are joining forces for the BTN Invitational, a new university League of Legends event that pits two of the best Big Ten schools against each other in a head-to-head battle. Since you’re here, why not look at our picks of the best League of Legends champions. The event will see Ohio State face off against Michigan State in front of a live audience at this year’s PAX East, which takes place in Boston from April 22-24. The BTN Invitational will take place on Friday, April 22, from noon to 4pm ET in the League of Legends show floor booth at PAX East. The university eSports event will also be livestreamed on both BTN2Go and LoLeSports.com. If you’re busy washing your hair that day, you can also watch the event on BTN at 7pm ET on Monday, April 25. The 2016 uLoL Campus Series Finals will also take place at PAX East, showing some of the most skilled collegiate League of Legends players in the U.S. and Canada. The Campus Series Semi-Finals will take place from 10am to 6pm ET on Saturday, April 23, leading up to the Campus Series Finals from 12pm to 4pm on Sunday, April 24, in the League of Legends booth. 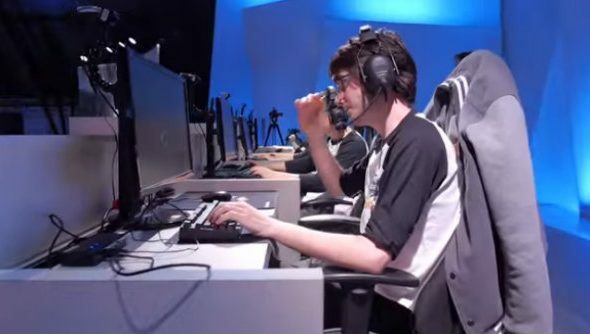 This follows the recent announcement that a Californian university would be offering a League of Legends eSports scholarship. Thecollegiate scene continues to grow.